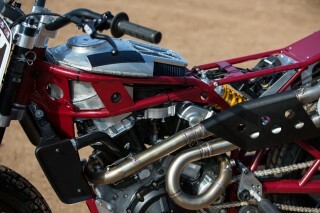 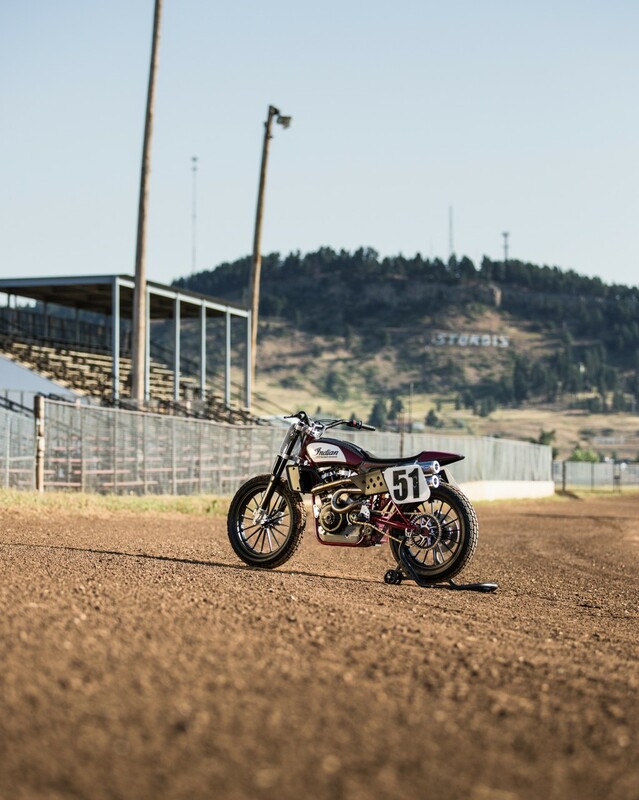 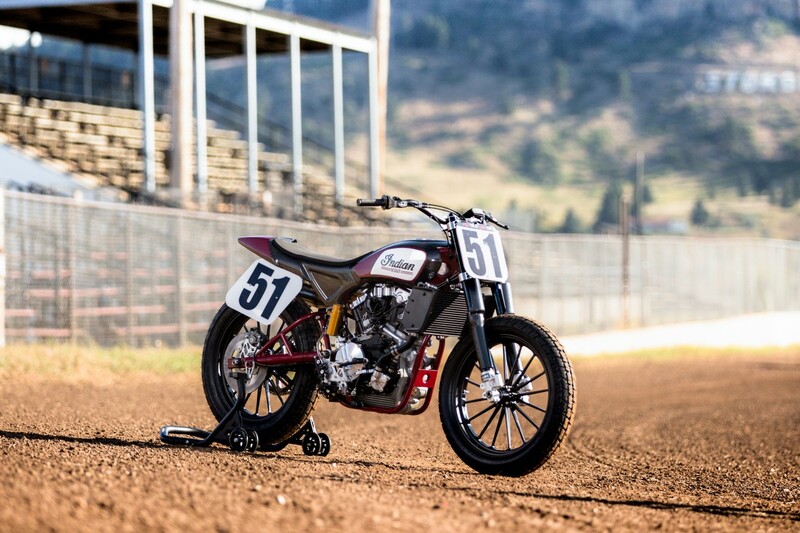 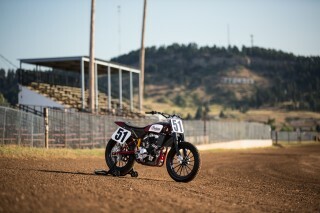 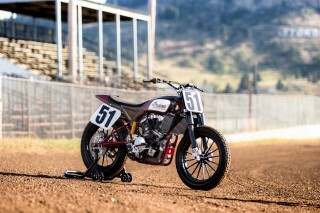 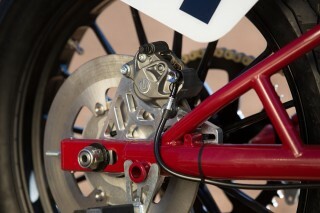 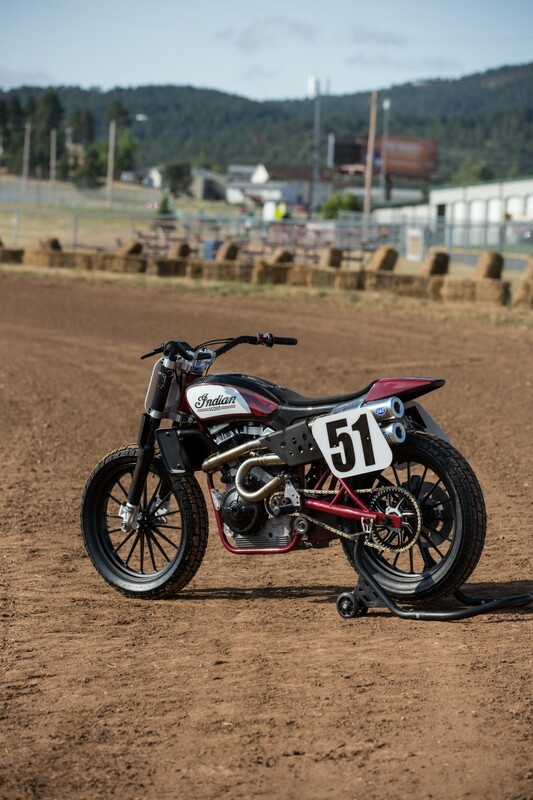 Indian Motorcycle has unveiled its all-new FTR750 flat track racer at the 76th annual Sturgis Motorcycle Rally. 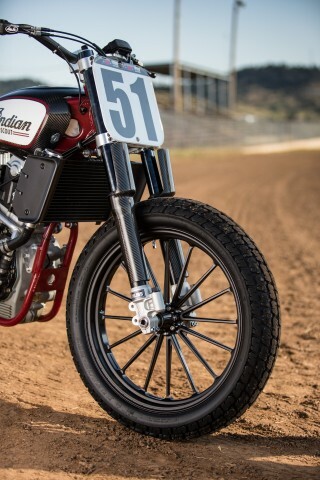 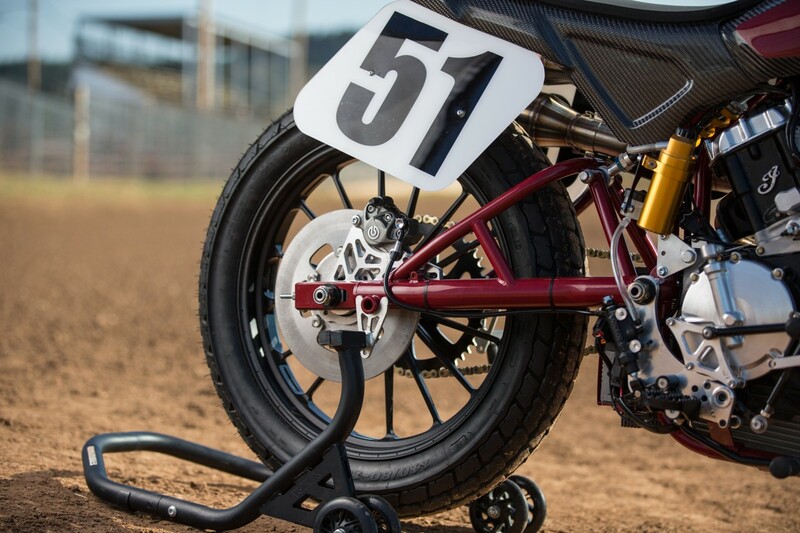 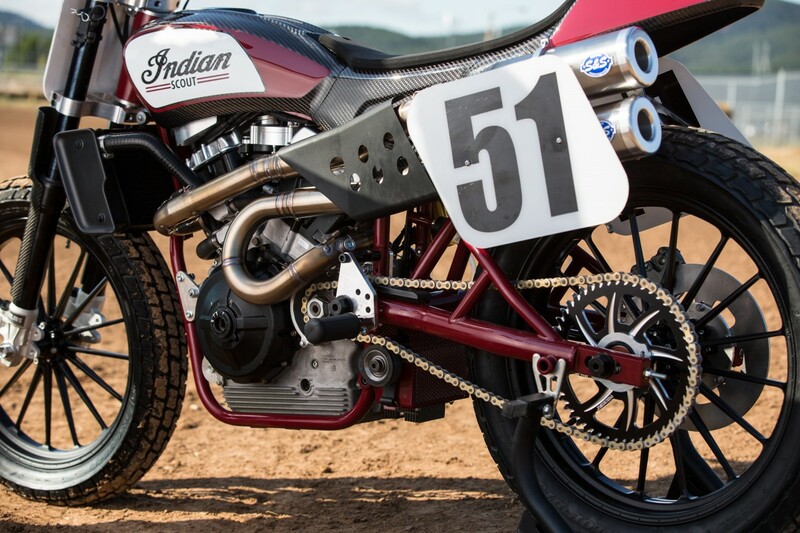 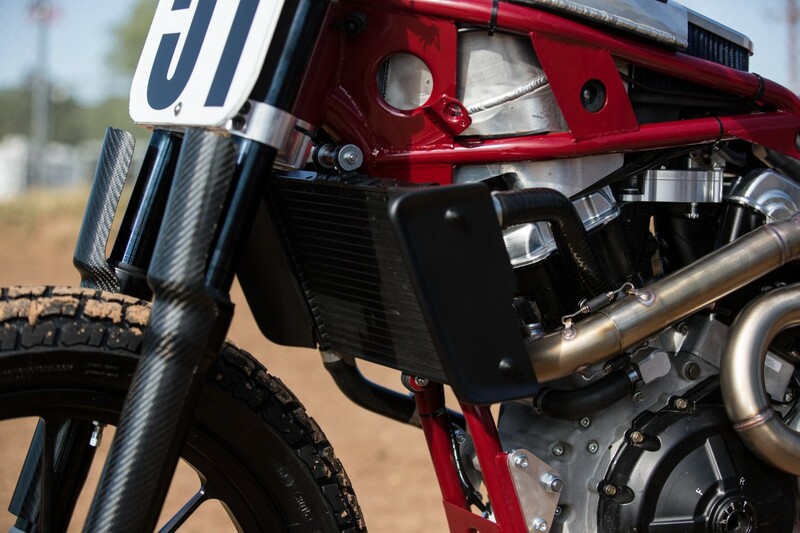 The Indian Scout FTR750 represents Indian Motorcycle’s bid for a strong return to AMA Pro flat track racing (FTR stands for Flat Track Racer). 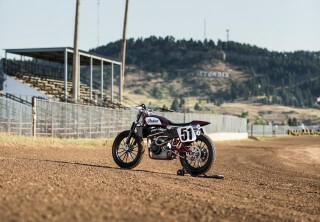 The bike was revealed at the “Motorcycles as Art” industry event at the famed Buffalo Chip in Sturgis. 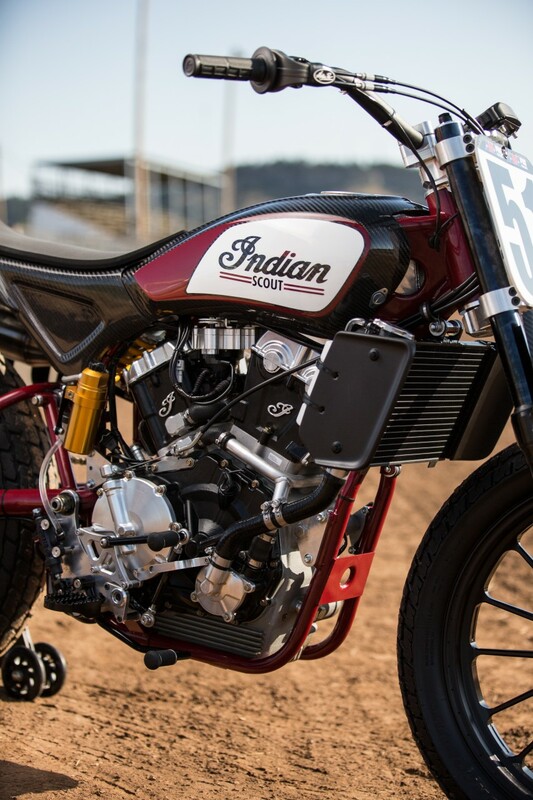 On-hand were two surviving members of the legendary Indian Wrecking Crew, Bobby Hill and Bill Tuman, both of whom are AMA Hall of Fame members. The third member of the orginal Indian Wrecking Crew, Ernie Beckman, passed away in 1999. 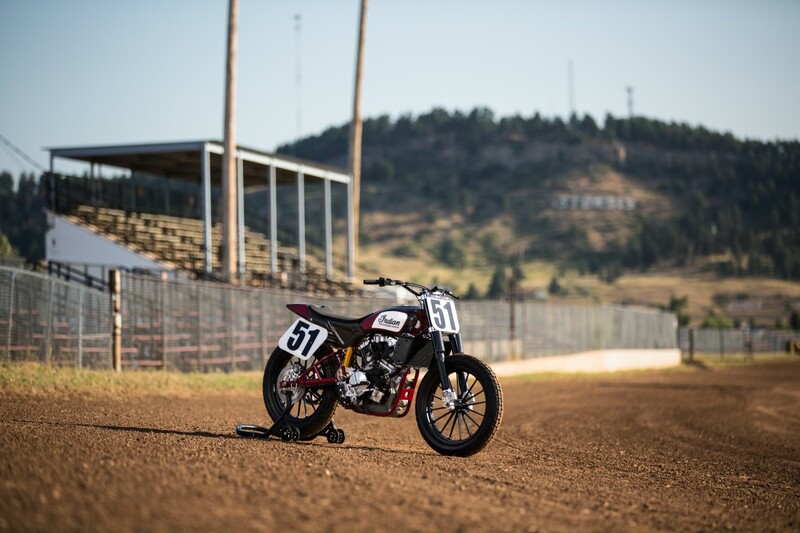 The motorcycle was revealed with the #51 of Bill Tuman, the last rider to win a Grand National Championship on an Indian in 1953. 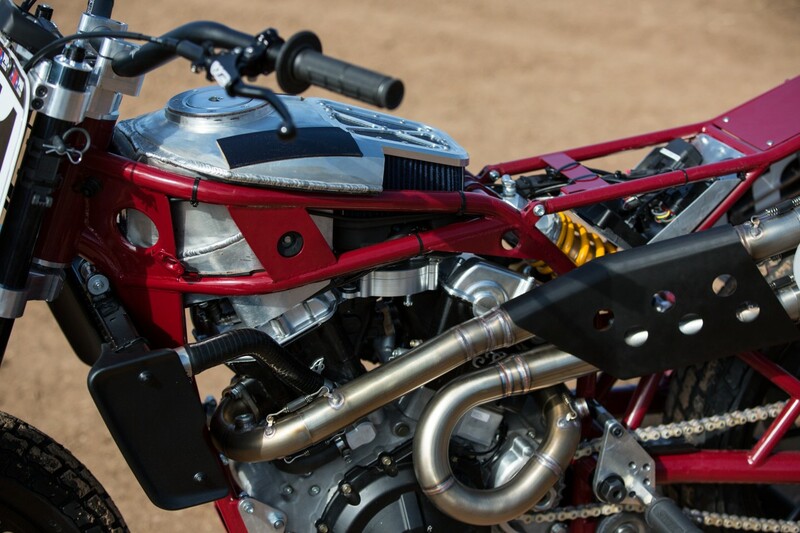 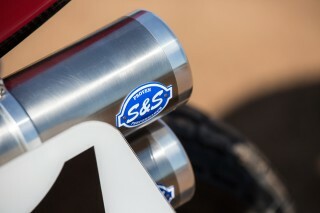 The bike features a high-revving, custom V-Twin engine developed in-house and is wrapped in a unique steel frame that allows for a tight wheelbase, large centrally located airbox and unique lightweight carbon fibre body. The design of the race-only bike reflects the heritage of key Indian racing models from history including the Big Base Scout; a historic bike that won in Daytona, dominated events across the country and is still raced in vintage competition today. 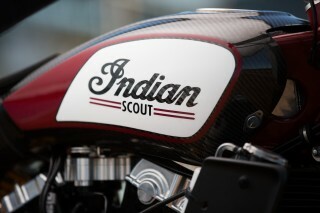 More information on the Indian Scout FTR750 will be made available in the future. 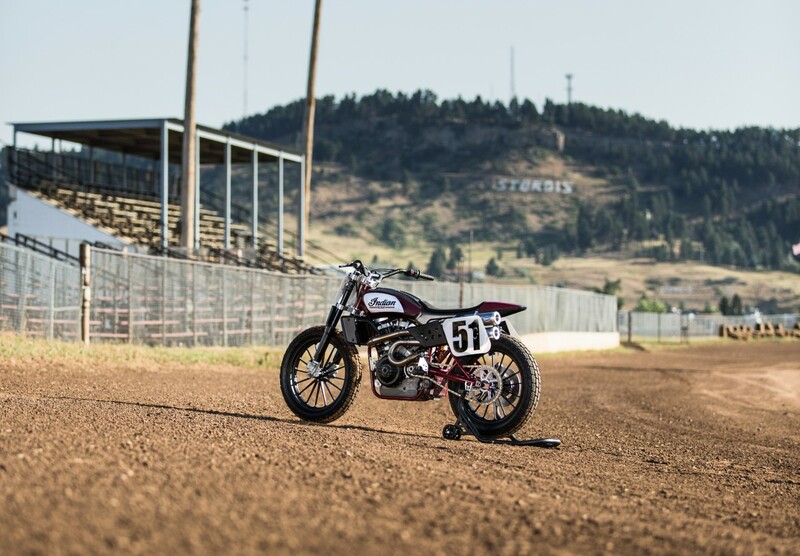 The motorcycle will be on display in the AMA Paddock at the Black Hills Speedway during the fans walk and will be shown in the Indian Motorcycle factory display on Lazelle Street through the Sturgis Rally week.